I've considered the Ranger, but in the end, I think I'd be playing a class that I'd end up not liking just due to it having a pet. That said, from being on the receiving end of the barrage, that may be the ability I hate the most in the entire game. I'm still flipping between Engineer and Warrior. The warrior has superior mobility and Rifle is very strong, but it's boring as hell. The engineer is a lot more engaging to play, but doesn't have a good ranged option besides grenades, which are actually really hard to hit anyone with. Wicked wall suppression though. I guess my other Engineer concern is that while they can do a lot of damage, they have to go pretty class cannon to do it, and they seem to get squished pretty hard already. Why would the pet bother you? You mentioned them being in the way earlier; can you say a bit more about that? Currently I would say thief is the best class for WvW. Even with the the fact that they will likely receive some much needed balance (COUGH backstab nerfs and heartseeker spam) in the upcoming weeks they will still rank as one of the best WvW classes in my book. Why? Well to me there are three situation that occur during WvW that the thief has merits in: zerging, siege and roaming. Zerg Battles: A thief's offense is their defense and that is even more true when it comes to certain hard-hitting thief abilities that while active can either cause blindness or some form of temporary immunity (Dagger Storm for example). This means in those huge battles where it is normally suicidal to get within melee range is not a large concern for a thief and they won't get ripped apart by AOE. A well-played thief can leap into action, quickly dish massive damage to an enemy following up with a quick cap while they're downed without fear of interruption ($%#$ stealth caps). Of course several professions can accoplish this like a greatsword warrior who can quickly hundred blades someone down. The problem is once that warrior gets his hits in there is the issue of staying alive as he is now likely surrounded by four or five players. His odds of survival aren't very good. The thief shines here is because after killing/damaging a foe they have the tools to safely and quickly retreat back towards friendly lines. So where warriors or guardians have to quickly analyze whether the gain is worth the risk to get within melee range, this is rarely much of an issue for a thief. It is also something to note that as thieves run on initiative they have very little downtime and can quickly rinse and repeat this process while other classes have to wait for their utility CD. Most battles are a dance of two sides fighting until one gains the upper hand. If you WvW often you know what I mean. You attack some guy a few times and they heal, return attacks on you before retreating to the safety of their lines. In large battles everything is really turn-based until someone screws up and is downed. Thieves however are great for dishing out burst damage and actually killing players during those fights instead of just trading blows. Siege: Whether defending or attacking this is the area where most professions will excel better at but a smart thief can always be of use in a siege scenario even if it doesn't involve combat. -Attacking: Killing or 'ganking' enemy players who are trying to reinforce a castle under siege. Perfect for a thief as most people who die while defending the walls and respawn usually travel alone along certain paths. Most of the time they're not expecting to come under attack so suddenly and this is where a thief will have the initiative. Harass/kill enough players and you begin denying the enemy resources and force players to take different and possibly longer routes to the castle they are attempting to defend. -- Quickly killing supply dolyaks and recapping sentry points will always be a nuisance for the enemy team regardless of what profession you are. -Defending: While defending thieves are probably better on the ground rather than firing down from the walls. 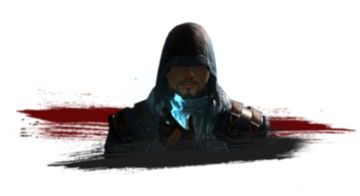 Get sneaky and go behind enemy lines, destroy their siege equipment or equip a bow and supply run, something a thief can do quickly and effectively with infiltrator's arrow. Roaming: As the top 1v1 profession thieves are the best at roaming, picking off stragglers, and scouting enemy zerg positions with the ability to quickly escape if caught. A good thief can easily take on three players and should a situation turn nasty use their tools to bail towards friendly lines. Harassing large groups can be useful for stalling the enemy until allies catch up. A lot of players in WvW are undisciplined and would rather waste twenty minutes chasing a thief across the Eternal Battlegrounds than assisting their comrades. I facepalm anytime I see a thief lure an ally towards enemy walls where they are quickly torn apart by siege. In hindsight I wasn't really intending on writing up a small guide for thieves in WvW but here we are. There are other professions that are probably better than a thief in certain situations, like an engineer tossing grenades onto castle walls or a guardian stalling enemy players with their awesome durability. However thief is better all around in my opinion because in WvW they tend to be a jack of all trades profession instead of only useful in one or two particular areas. Guardian didn't make the top because of how limited they are when it comes to range. While they can survive melee in zergs they don't effectively dish out enough burst damage to be of much use and you'll end up being kiting into enemy lines and quickly killed. They fall more into a support role. While many would argue warrior deserves recognition for how versatile they are I disagree on a personal level because of how squishy they become in large battles making melee'ing near impossible. Sure you could equip a longbow or rifle but there is very little support for them in the traits. Also to me it defeats the purpose to roll a warrior if you're going to go ranged anyways. Ultimately there is really no 'best class' for WvW. Variables exist such as situations, play styles and weapon choices. But for what it is worth that's my opinion for you OP. I played a thief for a short period so this is based off a mixture of experience and observation. At the moment I play a warrior and would have rerolled as a thief if not for the fact heavy armor looks so boss compare to medium. Okay, okay, I'll give my thief another look. I was already doing a lot of what you said, but if I more intentionally focus on smaller skirmishes than zerg v zerg (and I enjoy skirmishes and ganking supply runners more anyway) I'll probably have a better time of it. Sounds like I need to find some people to run around in small quick groups with then. And also to get gear. Amazingly I'm still not quite sure how I should be going about that. So before hitting post I put in many hours in WvW, alternating my playstyle a bit to be much more about roaming than staying with the zerg. Enjoyed it immensely with DD/SB. So I'll be working on the thief a bit more then. I'm just not into pet classes, generally thematically or playstyle-wise. Just preference. be careful using dagger storm as a thief. sure, you can pop out or drop down from a wall and hit a bunch of people with it, but the instant they see you spinning, you get a bullseye on your head. you will be targeted. you will be single targeted. you will have a ton of AoE and other ranged attacks thrown at you. you will die before dagger storm even finishes. and the worst part is that your attacks won't really have done enough damage to kill anyone unless 3-4 of you all coordinate and do it at the same time. if you're dealing with small group vs. another small group, it will be pretty useful. you'll be able to get inside them and do decent enough damage that your party members should be able to finish them off and raise you. but in a zerg, you need a few of you doing it for it to really be effective. i've been seeing a lot of thieves opt for the thieves guild summons instead, which works pretty well in small group situations. i was working someone over, pretty convincingly, and they popped that and rolled back. i went for the kill, as that would have removed the summons as well. the next thing i knew, the summon busted out the scorpion wire, and i was on my back. the three of them pounced on me, and i was dead before i was able to stand back up. I've used Thieves Guild before and it is pretty great. If I were running a venom-share build I would definitely use it, but with my somewhat tankier-leeching build, I don't die all that fast when I skillstorm. The ranged people focus my sure, but most of the people around me are usually in gtfo mode so I just outheal that. I prefer my Ranger when I WvW, due to the fact that I can harass and scout freely, I run a primary Skirmish build with points in Marksmanship and Wild. Survival. I just the ability to hop around and take out two or even three invaders, able to kite around them using my traps, binds, and pet. I play a support/heal way guardian. Most of the time when I'm on is peak NA hours which means mostly zerging around and big fights, so being able to survive and keep sustained melee damage is key for me. Currently working on leveling a ranger to 80 though for scouting/roaming purposes. After that I may look towards thief as I've heard good things. Mainly ranged/support is good if you are grouped up with other players. If you want to go solo stick to thief, mesmer, ranger or warrior....and be really good. At this point (thanks to Sauerkraut's description) I've tried out an engineer, and am really loving it. I used a rifle build that was a little glass-cannony, so I'm worried how well it will end up working in WvW, but I guess it's risk I'm willing to take. The warrior is probably more what I'm looking for, but it just feels like playing hotkey whackamole. Plus leather armor is ballin' in this game. Going to have to farm up a million billion karma to get the armor the human engineer wears at character creation. Rifle is kinda "meh" for WvW, imo...as far as ranged options. Not sure why its called a rifle anyway. Performs more like a shotgun. The warrior should be using it and the engies should have gotten the real rifle.